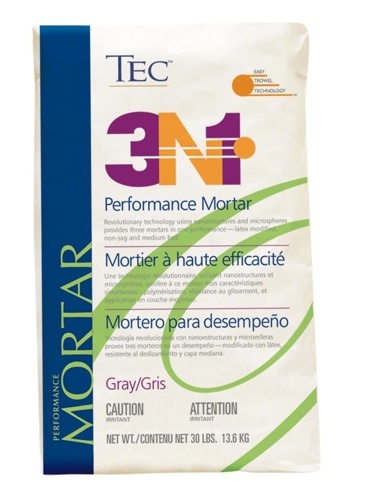 A lightweight premium mortar that combines polymer modified, medium bed and non-sag features into one high-performance mortar. For use over plywood, cementitious surfaces and other substrates. Best for heavy and large format tile. Extended open time for maximum adjustability. Formulated with Easy Trowel Technology(TM) for superior handling. Provides 50 lb. coverage in a 30 lb. bag. Contains 6% pre-consumer recycled content and zero VOC. Available in 30 lb. bags.